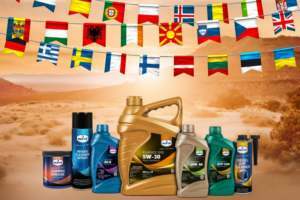 Eurol Diesel Test Fluid | Eurol B.V.
Eurol Diesel Test Fluid is developed for calibrating fuel pumps and nozzles of diesel engines. Formulated from a mineral oil, a solvent and an anti-corrosion additive, which is extremely suitable for emergency generator sets. Because of the anti-corrosion properties, treated parts show an immediate, faultless functioning, even after a one-year storage. It has an excellent resistance against ageing and has a low foaming tendency, meeting the requirements of injection-appliance manufacturers.